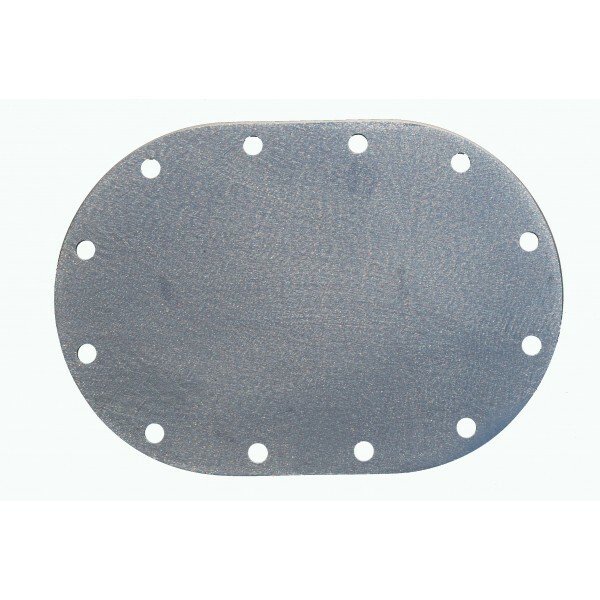 To cover and protect, or customize for different uses, this 4X6" blank raw aluminum cover plate, with a 12 Hole bolt pattern is easily manipulated to fit a variety of needs. This blank plate fits a 4X6" opening and is .188" thick. Fuel Safe uses this plate in-house for 4X6 Cover Plates and some Custom Plates when applicable.